Washington D.C. is facing a serious housing shortage, which has made rent unaffordable for many working class families. James Ray is one of the residents that are struggling. Ray and his wife are paying over a third of their income for a two-bedroom apartment to house for themselves and their two children. Many other residents are having even more difficulty. Experts have discussed possible solutions to the housing dilemma. Two former Catholic Cardinals football players may have found the perfect solution – building new housing from old shipping containers. The Washington D.C. housing market began to deteriorate several years ago. The subprime mortgage crisis, a growing population and a stagnant economy have made it difficult for many families to find affordable housing. Terri Lee Freeman of the Community Foundation said that the housing problem has created many challenges for residents throughout the city. Freeman said that the average family has lost 4% of its buying power as rental prices continue to surge. Matthew Grace and Sean Joiner purchased a rental property five years ago. They soon realized the building was too dilapidated to rent out. They considered making the necessary repairs, but decided to take a more innovative approach. They tore the building down and planned to build a new structure in its place. They decided to replace the building with a new housing structure that would be made from old shipping containers. Grace credits one of his former classmates for the inspiration. He befriended an architectural major while he was attending The Catholic University of America. His friend introduced him to one of her professors. The three of them traveled to Ireland, where they saw buildings made from reused materials. 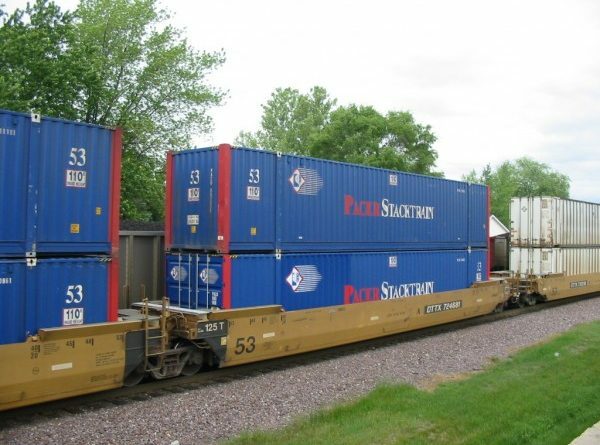 Will Shipping Containers Help the Region’s Housing Problem? Washington D.C. is struggling to address its growing housing problem. The Council of Governments and the Urban Institute conducted a recent study which found that over 50% of D.C. citizens were overpaying for housing. They stated that the supply of affordable housing needs to be increased, but haven’t proposed any solutions to the problem. Local entrepreneurs such as Grace and Joiner will need to help address the problem. Creating new housing units from old shipping containers could help more residents find affordable housing. However, it is unlikely to lead to significant improvements on its own. A number of commenters on the Washington Post criticized the idea that people will need to live in old shipping containers. They said that the government needs to get far more serious about addressing the housing problem. However, people that genuinely can’t find affordable housing may be greatly relieved to have the opportunity to live in any sort of affordable housing that they can. As a design build remodeling contractor, we would much prefer that D.C. area residents are able to live in more traditional homes. But it’s also not fair that residents are having to pay out nearly a third of their monthly income for apartment rent. We hope that the real estate market in D.C., which is looking up again after a few bad years, will heal to the point where these measures may not be necessary. However, Grace and Joiner do have a good solution for affordable housing, and if their project is successful, it could be a boost to a strained housing market.